The President of Somaliland, HE Ahmed Mohammed Mahmud met with international NGO’s working in Somaliland, in order to discuss the implementation of viable plans that would boost the country’s development. In an extraordinary meeting held for the first time in the country President of Somaliland HE Ahmed Mohammed Mahmud met with international NGOs working in the country and donors from different countries. In the meeting where many issues were discussed, most important being how donor funds are managed and utilized H...E president Ahmed Mohammed Mahmud stressed of the importance of prioritizing needs by implementing viable programs that would boost the country to the path of development . In his speech to the meeting the head of state who said that the country has made remarkable progress in the past two years in which it has overcome many obstacles thence is becoming one of the best success stories in the Horn of Africa region. On behalf of the Somaliland Government and its people, I would like to thank you all for attending this important and historic event, especially our international partners, who continue to demonstrate a deep commitment to Somaliland's prosperity. We meet here today to mark the initiation of a revitalized partnership between Somaliland and its development partners, founded upon the global principles of the New Deal. In our context, this has taken the form of the Somaliland Special Arrangement. In practice, the Arrangement means that it will be the priorities identified by the Somaliland people themselves, through the National Development Plan, which will guide the way forward. And it also means that the institutions we have created through over twenty years of bottom-up state-building will be granted greater ownership of the programs funded preferably through trust funds like the Somaliland Development Fund (SDF). This is the financing mechanism that Somaliland believes will minimize overhead costs, provide the best value for money to the tax payer, and maximize output and development impact in the long term. We encourage all donors to join this fund. The SDF is currently in the budget. But in its design includes an incentive fund which is inherently linked to Public Financial Management (PFM) and our commitment to PFM reform is unwavering. What is discussed here today will not only impact the lives of our people, who aspire that their two decades of peace and stability will continue to provide increased economic dividends, but will also echo throughout the region. In this part of the world where conflict, extremism and terrorism reign, Somaliland has shown that it does not have to be that way. 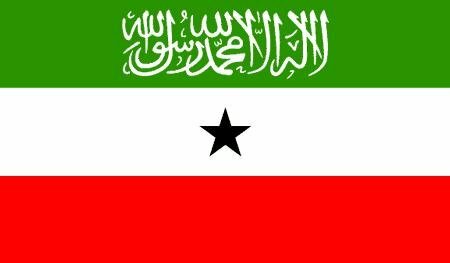 Somaliland's success is evidence that peace, stability, and development can be achieved through reconciliation, respect for human rights, democracy and international cooperation. We made remarkable progress in the last twenty two years, thanks to the resilience of our people and the generous support of donor partners. But we have a still a long way to go to realize the aspirations expressed in our national vision, stated in our national development plan and reiterated in the Somaliland Special Arrangement. Our priorities are to strengthen our democratic process, consolidate our security, develop our productive capacity, create employment especially for our youth, provide adequate social services, raise enough revenue to meet our operational and investment needs and protect our environment. My government does not take its role lightly. We are committed to doing our part as responsible and trusted partner by carrying out the necessary judicial, financial and public management reforms to ensure good governance, transparency and accountability. We are confident that you will also meet your responsibility as our development partners. I have no doubt that together we can succeed in building a better tomorrow for our people.